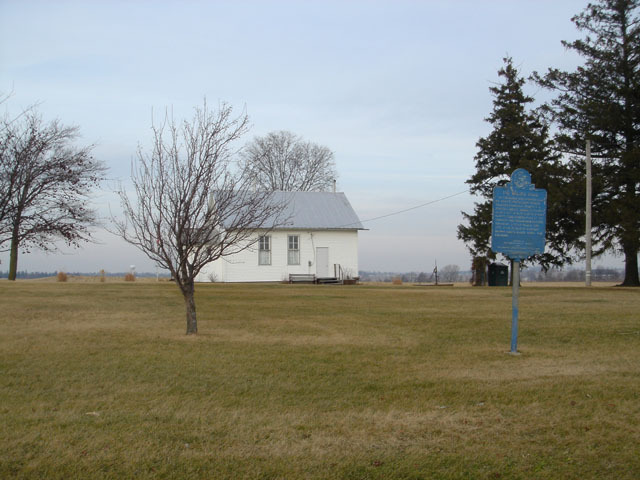 Located nort east corner of Hwy 26/52 and W Henryroad south of city of Polo Coordinates Lat N 41 57.573 " Lon W 89 34.763 "
In the early 1830's pioneer traffic moving north from Peoria crowded primitive trails and forced a direct route to Galena. 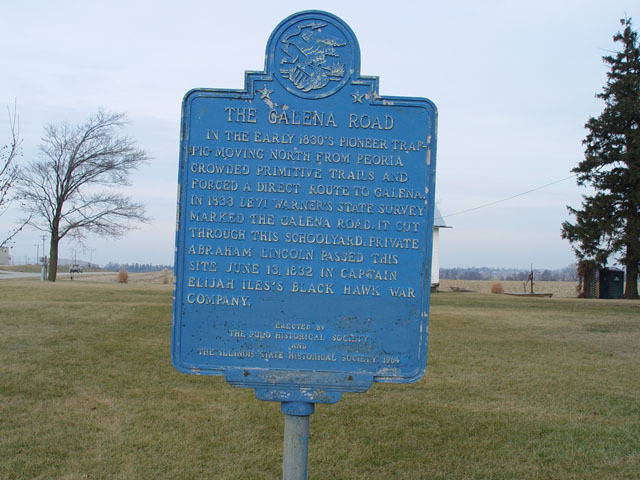 In 1833, Levi Warner's state survey marked the "Galena Road." It cut through this schoolyard. Private Abraham Lincoln passed this site June 13, 1832 in Captain Elijah Iles's Black Hawk War Company.